The 1962 Kahn's set contains 38 cards featuring players from 8 different teams. While the cards still remain very similar to years before, they are slightly larger measuring 3 1/4" by 4 3/16". The key difference of cards from this year is that the backs feature the player's name in bold font, and the writing on the back is double spaced, as opposed to the single spaced information from the previous years. Key cards from this year include Jim Brown, Bobby Layne, Gene Lipscomb, Ernie Stautner, and Fran Tarkenton. 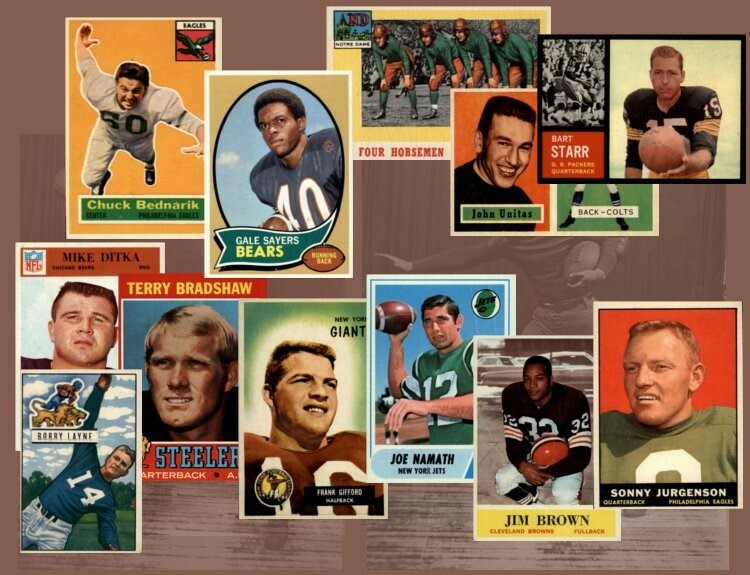 CLICK HERE if you want to sell your 1962 Kahn's Football Cards.